Separate the marshmallows from the rest of the cereal in both boxes. 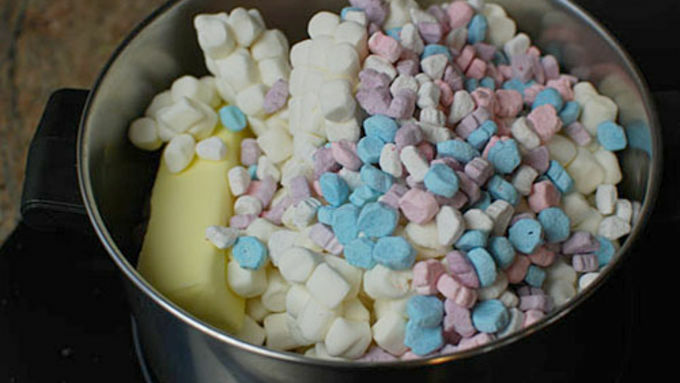 Mix the cereal marshmallows with the other marshmallows in a saucepan with 8 tablespoons of butter. Cook over low heat, stirring often until it becomes a marshmallow sauce. Pulse both cereals separately in a food processor until they are a breadcrumb consistency. 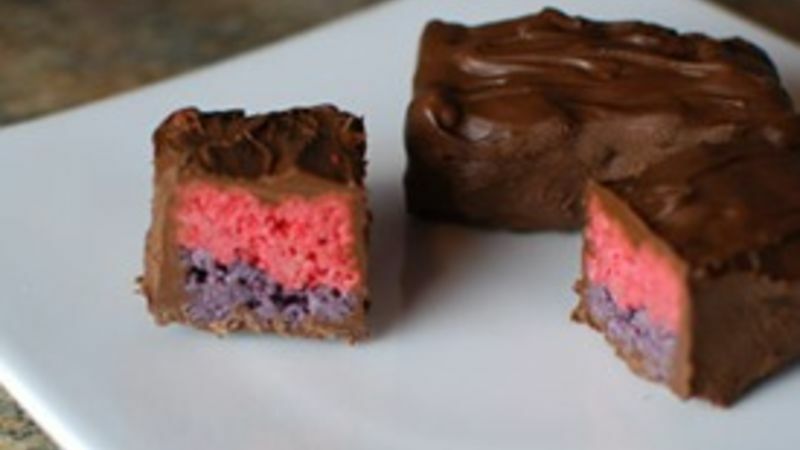 Mix each cereal with half of the marshmallow sauce.Layer the cereals in a shallow baking dish and press down really hard so it becomes a connected block that is fairly level on top. 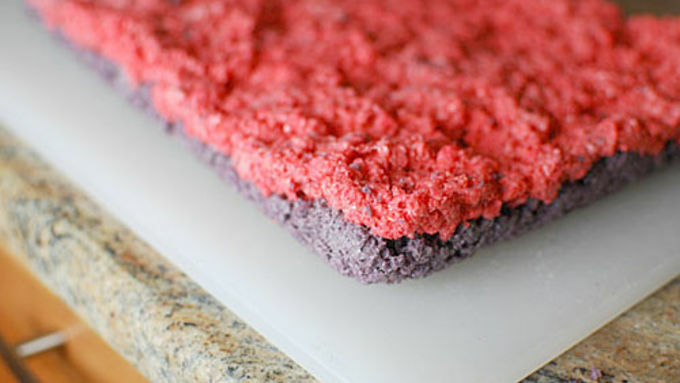 Remove from pan and cut into 24 bars. 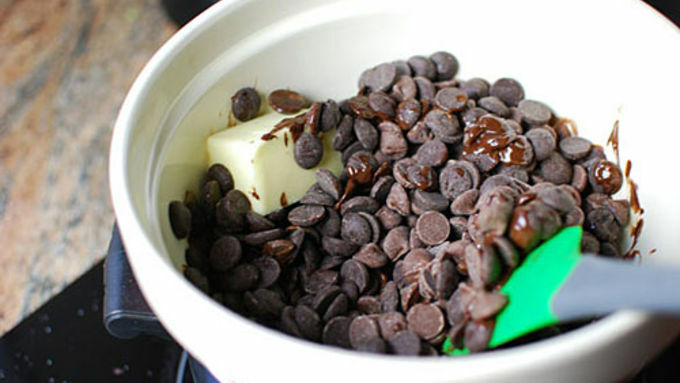 In a double boiler, gently heat some chocolate with the remaining two tablespoons of butter until melted. 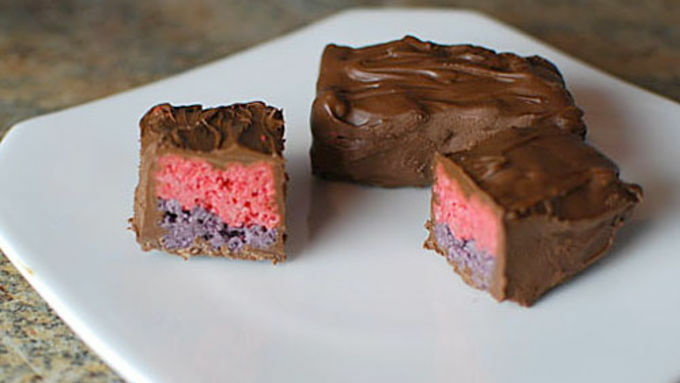 Dip cereal bars in chocolate to form candy bars. Allow to cool in the fridge on baking racks. People at the grocery store probably think I am weird. Like, REALLY weird. I run around that place, always searching. For what? Who knows. Something is there, and I am going to be the one to find it. A new herb in the produce section? I get my face right in there and take a big whiff. I have been known to stand in front of the onions and feel each and every one to make sure I leave the store with the best onion they have. When I discover an exotic ingredient I didn't expect to find at my normal corner grocery store, I have a mini celebration right in the aisle. This past week when I was walking through the store, I saw something that made me literally drop my basket in shock. A huge display of Monster Cereals, ready for Halloween! 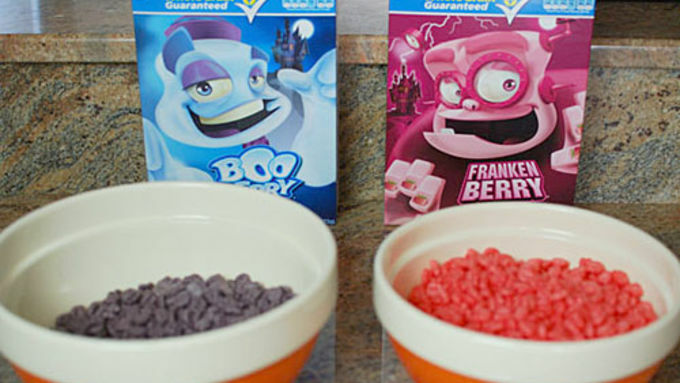 I love the monster cereals, but you can usually only find them in October. I’ve been so busy, I totally forgot that it was time for my old friends Franken Berry and Boo Berry to return to the shelves. They aren't only good for breakfast; they also are lots of fun to cook with. 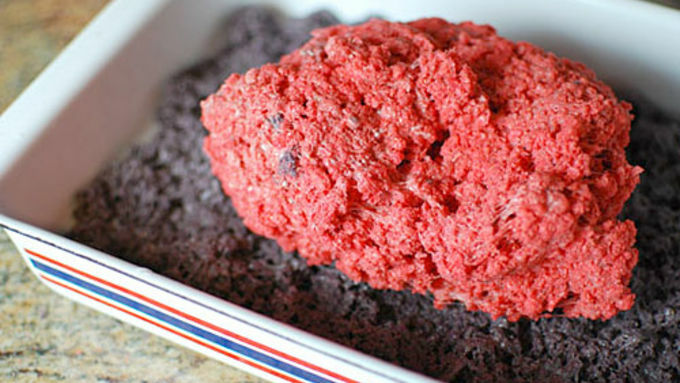 Last year I made a very tasty Boo Berry Ice Cream. This year I decided it would be fun to make Monster Candy Bars out of the cereals. They look really cool and are perfect for Halloween!